This is one of our most popular electric bikes we sell. Usually it’s $1990 but now it’s on special for just $1690. The reason this is such a popular ebike is that AVANTI have got it just right for us with making a bicycle suitable for conversion for a great number of people. This hybrid bicycle is extremely comfortable, the suspension forks and suspension seat pole combined with the upright riding position make even the longest commute pain free. 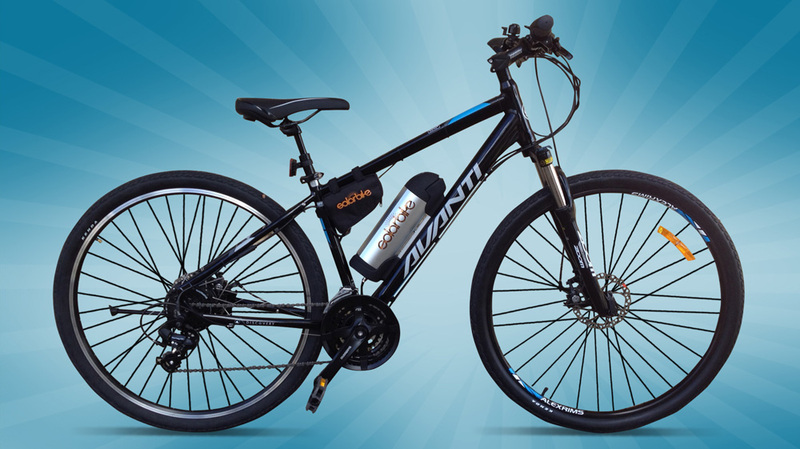 The electric conversion kits suit this bicycle well and either a front or rear mini-motor with any of the batteries that can be mounted within the frame allow us to adjust personal preferences with riding range. It’s definitely worth taking this one for a test ride if you want a comfortable and practical electric bicycle. This bicycle is also available in a ladies’ style and there are three different models with varying level of componentry. Please see the AVANTI website for the specifications of the Discovery 1, Discovery 2 and Discovery 3 – they all work beautifully when converted to being electric.